Whether it’s a magnificent heavy timber frame barn or handcrafted timber trusses and corbels, Framework Plus can make your horse barn or workshop shine. Timber frames and trusses have the ability to transform an ordinary barn into something beautiful and unique. Our experienced craftsmen specialize in custom designs to fit any client’s needs. We offer timber framing for both interior and exterior uses, from entryways to private patios and pavilions. Because timber framing uses all wood connections, no unattractive brackets, screws or bolts will stick out as an eyesore. We use the finest Douglas fir and cedar the Pacific Northwest has to offer. Each piece of high-grade wood is unique, bringing a distinctive look to each individual barn. The quality of wood used also shows in the longevity of the barn, resulting in structures that can stand for generations to come. These heavy timbers carry high wind, snow, and seismic loads, giving you peace of mind year round. Framework Plus has teamed up with DC Structures, offering pre-engineered barn and barn home kits nationwide. Framework offers timber frame trusses, corbels and cupolas as an optional upgrade to any DC Structures barn kit. These timber frame features can be used as structural elements or as captivating aesthetic elements for interior and exterior use. Timber frame entryways draw attention to any barn, while structural timber frames produce a rustic and homey feel. 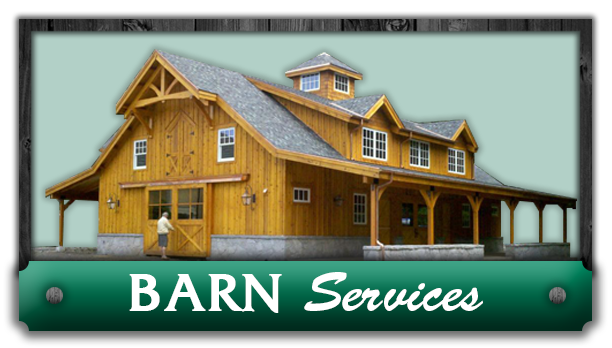 Interested in a custom timber frame barn? Get a free quote! Need Pricing For A Barn Project?